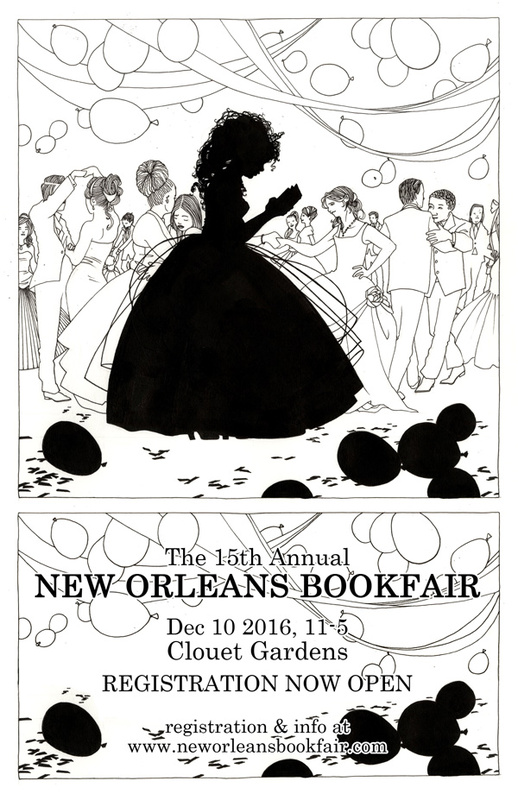 New Orleans Bookfair | December 10, 2016 at Clouet Gardens! 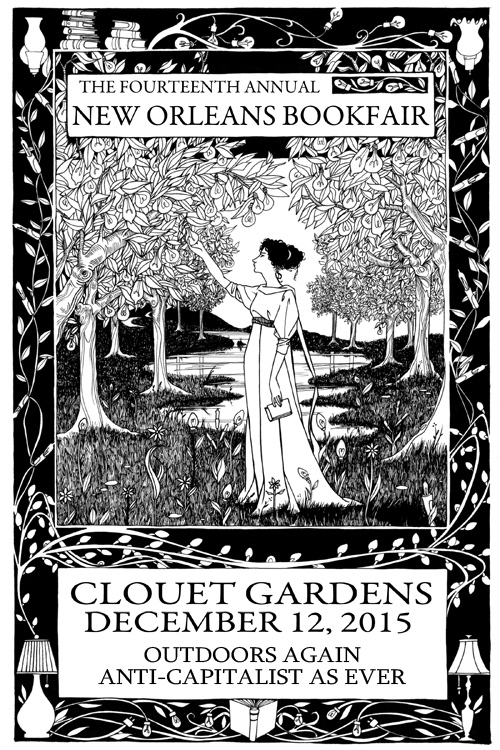 December 10, 2016 at Clouet Gardens! 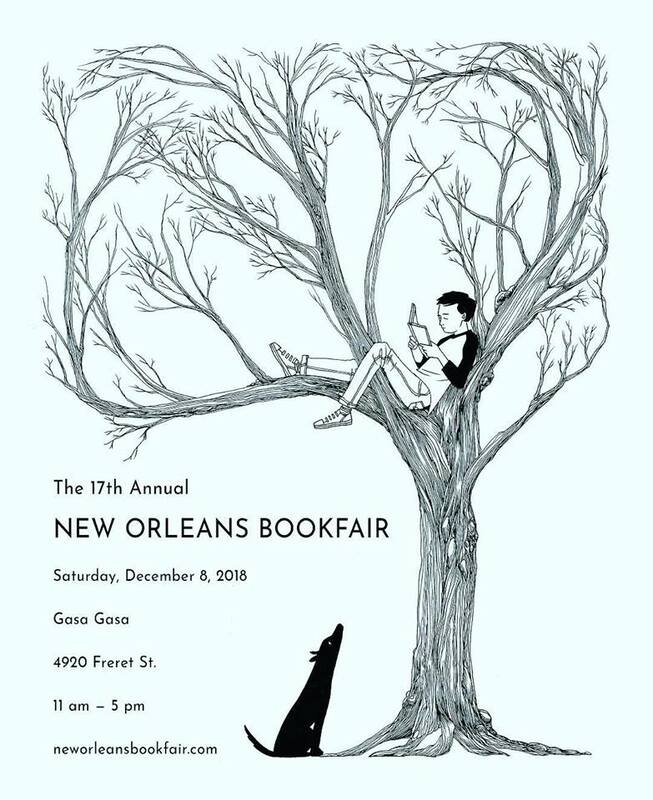 The 2018 New Orleans Bookfair will be Saturday December 8, 2018, 11 AM – 5 PM at Gasa Gasa, a venue at 4920 Freret Street. Click here to REGISTER FOR A TABLE! The Bookfair is a FREE Event for you to come enjoy. Kids and other small creatures welcome! 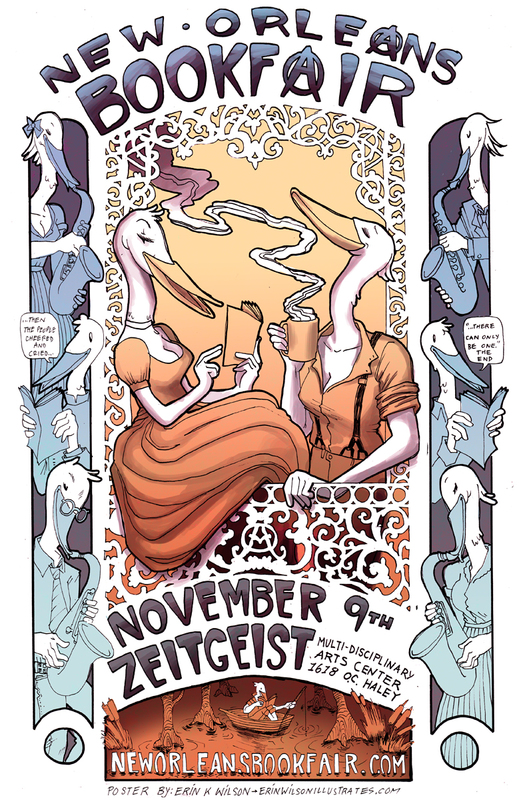 lookit our beauteous poster by Happy Burbeck! What were you doing fifteen years ago? Fifteen years ago we were having a Bookfair! We’ve never strayed too far from those origins. We’re still free, still fun, still family-friendly, still feisty, still fringe-y, still as delightfully rough around the anti-authoritarian edges. 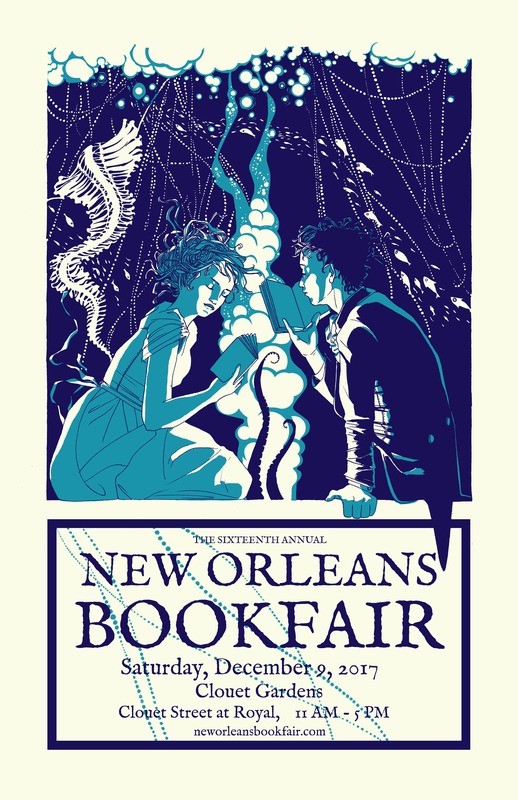 As every year for the past fifteen, we will gather independent authors, publishers, zinesters and other literary riff-raff to ply their trades and hawk their wares, focusing as always on the New Orleans locals. There will be a fun kids’ area and lots of activities for all ages. Remember all the way back to last year, when the Bookfair was outdoors, down in Clouet Gardens? Remember how ineffably pleasant that was? We are delighted and grateful to announce we’ll be back at Clouet Gardens again, down in the Ninth Ward on Clouet St. between Royal and Chartres. Once more attendees may browse books, periodicals and other printed ephemera in a sublimely attractive setting that is, notwithstanding its loveliness, still mercifully untainted by that twee, clean-cut boho-yuppie instagram rooftop-party aesthetic. The Bookfair is beautiful without being precious. You know? Like a lover with bad teeth. Of course, there’s more to a Bookfair than commerce, and this year we have an exciting blend of new and old-style activities. Throwing it back to the VERY FIRST Bookfair, we will have ROLLING READINGS taking place inside a bus! Or perhaps a very large non-bus, depending what we can get our mitts on! But probably a bus! This sucker will be poetry (& prose) in motion! There will be panels, illuminating and edifying, on divers subjects. Bookfair participants and attendees throughout the day will enjoy live acoustic music, including a birthday set from Ex Specter, the magnetic musical force of nature a/k/a Kallie from GLAND. Poems will be read! Coffee will be served! Children will be distracted! There will be a free meal! It will be a grand day in the gardens. Please join us for this, the fifteenth of infinite bookfairs.